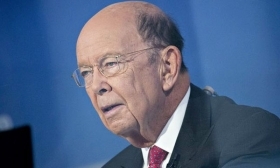 Lawmakers are asking Commerce Secretary Wilbur Ross to make changes to the process for requesting product-by-product exemptions from steel and aluminum tariffs. WASHINGTON — Steel and aluminum tariffs will hurt many manufacturers. But the value of imports covered by the duties is only $10.8 billion, a pinprick for a $19.5 trillion economy. The real danger, economists and business groups say, is the cumulative effect of several pending tariffs and the risk that they will instigate a full-blown trade war or trigger the demise of NAFTA. Chief among them is President Donald Trump's threat to slap a 25 percent tariff on auto imports and car parts on national security grounds. There is little basis for such a threat. The domestic auto sector is booming and didn't seek relief from imports. But it can't be dismissed as political theater or a way to pressure trading partners for concessions. Until now, the Trump administration's aggressive proposals and bullying to correct trade imbalances were followed by horse-trading or backtracking to more modest outcomes, reflecting discord among White House factions feuding for control over trade issues. There's little of that discord left. Trade and foreign-policy hawks such as Commerce Secretary Wilbur Ross and National Security Adviser John Bolton have gained the upper hand. The threatened steel and aluminum tariffs on major allies are now a reality, the U.S. just reinstated sanctions on companies that do business with Iran, a potential exit from NAFTA seems more likely and new tariffs on Chinese imports are soon expected. The disarray on so many trade fronts makes it difficult for businesses to invest, despite the windfall from corporate tax cuts and deregulation. "Our members need regulatory and market certainty to prosper," and whipsaw policies are "going to have an impact on job growth and investment," said Ann Wilson, senior vice president of government relations at the Motor and Equipment Manufacturers Association. When tariffs or quotas, for example, are imposed without much lead time, buyers and sellers with shipments on the water try to push the cost onto the other party, although responsibility is often sorted out amicably, said Nicole Bivens Collinson, a former U.S. trade negotiator who now heads international trade and government relations at law firm Sandler, Travis & Rosenberg. Trump views all the unpredictability as a strategic advantage, but "consistent unpredictability does nothing more than erode the trust of your negotiating partners," said Kellie Meiman, managing partner at McLarty Associates, a global trade consultancy. Meanwhile, Trump is enraged that Canada has not embraced his NAFTA ideas for bilateral, rather than three-party, talks, a five-year sunset provision and stricter auto rules of origin, and he seems prepared to use auto tariffs as a way to punish Canada, said Eric Miller, a well-connected trade and government relations consultant who heads Rideau Potomac Strategy Group. "If you have a national security tariff on autos, that's Armageddon," he said. "That's the firewall for the global trading system." Industry officials and trade experts say the proposed auto tariffs — pending an investigation by the Commerce Department under rarely used authority governing national security emergencies — would damage the very sector they are supposed to help. They would cover $208 billion in vehicle imports and $100 billion in parts, surpassing the combined value of all other tariffs implemented or proposed so far. Initial economic effects would be modest, but the damage increases if trade partners retaliate, according to an analysis by the Peterson Institute for International Economics. It predicts automakers would suffer a 1.5 percent loss in productivity, resulting in a 2 percent drop (20,000 jobs) in employment, as auto prices for consumers rise and demand dips. The ripple effects of decreasing sales and shipping activity would cost 195,000 jobs in the overall economy. Countertariffs on U.S. auto exports would reduce domestic auto production by 4 percent, costing 50,000 industry jobs and 624,000 total jobs. "It's not to say this action throws the U.S. economy into a tailspin, but why are you taking it when it makes things worse for U.S. firms and workers?" Jeffrey Schott, co-author of the institute's analysis, told Automotive News. Autos produced in the U.S. wouldn't escape higher costs because the tariffs also target parts used for assembly. And MEMA's Wilson said consumers who maintain their vehicles will feel higher prices because many aftermarket parts are made overseas. The tariffs would gut NAFTA's rationale, because parts and assemblies that currently crisscross the northern and southern borders duty-free before becoming a finished vehicle would be taxed each time. "It's looking very likely that NAFTA is going to collapse and with the auto tariffs, it could well mean you completely destroy the supply chain for automobiles in North America that depends on specialization across three countries," said Sherman Robinson, another co-author of the Peterson Institute's report. Several Republicans sharply criticized the president for using national security as a pretense for invoking tariffs. On Wednesday, June 6, Sen. Bob Corker, R-Tenn., who is retiring at the end of the year, introduced a bill that would require Congress to approve tariffs linked to national security. But few lawmakers seem ready take back trade authority from the executive branch. It took the Commerce Department about 10 months to complete its investigation on steel tariffs, which supporters also justified on national security grounds. On auto imports, Miller and Collinson say they sense a White House push for an October report so that Trump can make a decision ahead of the November midterm elections.